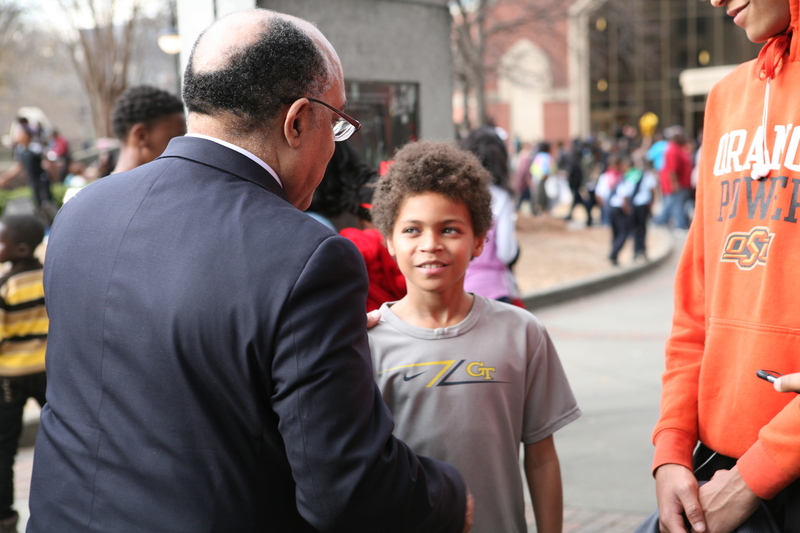 Today, January 16, Atlanta residents marched down Auburn Avenue to honor Martin Luther King, Jr. A rally was held at the Martin Luther King National Historic Site to commemorate the MLK National Holiday. 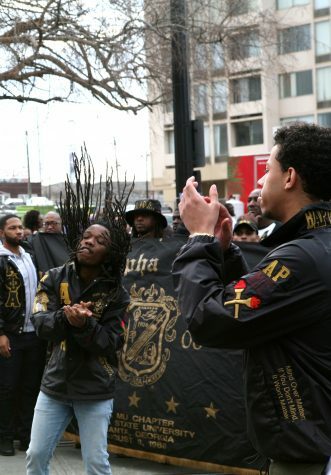 King’s legacy of love and peace was celebrated, and current events regarding Civil Rights were also acknowledged by participants in the march. 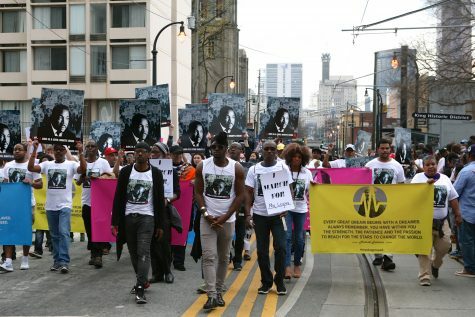 A group of Atlanta residents marches down Auburn Avenue, the street of the birthplace of Martin Luther King, Jr., into the King Historic District in Downtown Atlanta, bearing posters with King’s picture. 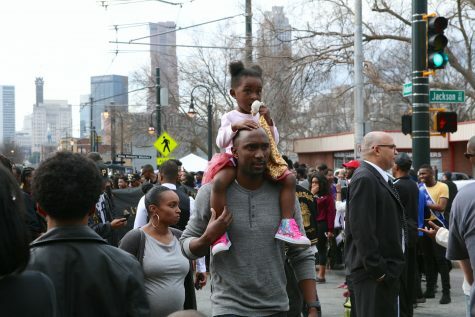 A man carries his daughter on his shoulders during the MLK Day march, where marchers were all ages. 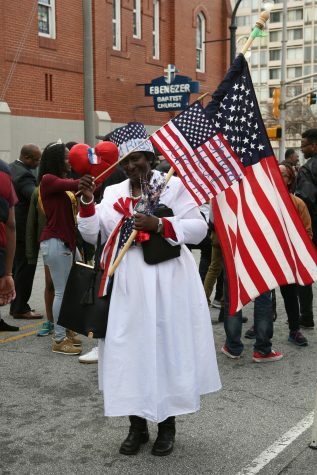 A woman carrying a flag that reads “Oh Lord heal our land” stands in front of Ebenezer Baptist Church, where King was a minister. 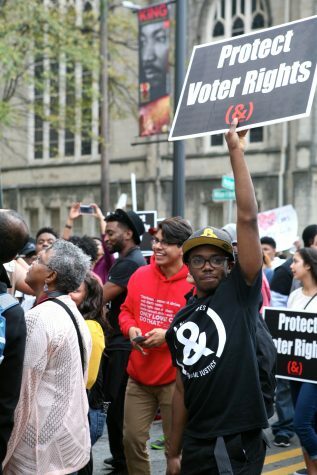 An Atlanta resident holds a sign with “Protect voter rights” printed on it to honor King’s Civil Rights movement. Multiple groups with different causes were part of the march. 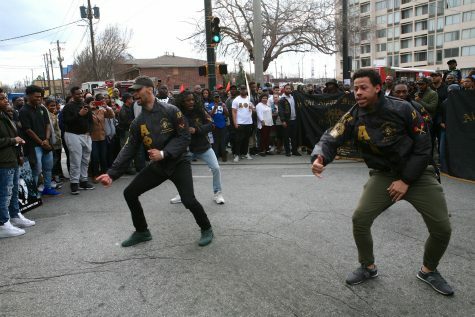 Members of a Georgia State university fraternity dance during the MLK Day march. 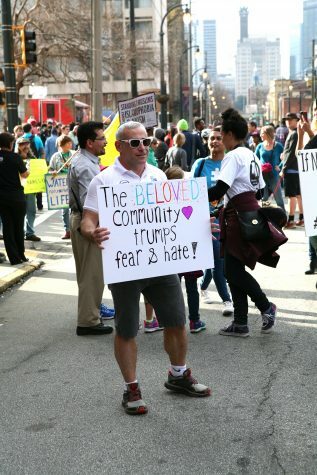 A local Rabbi holds a sign that reads “The beloved community trumps fear and hate.” King often referred to the ‘beloved community’ in his speeches promoting tolerance and equality in the 1950s. 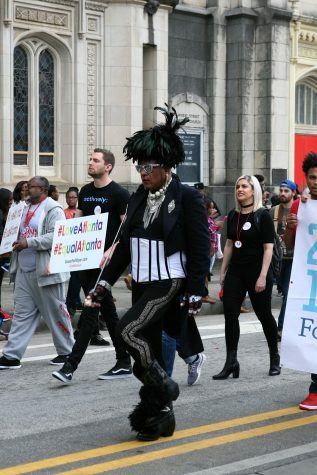 ‘Baton Bob’, as referred to by Grady students, leads a group in the MLK day march. 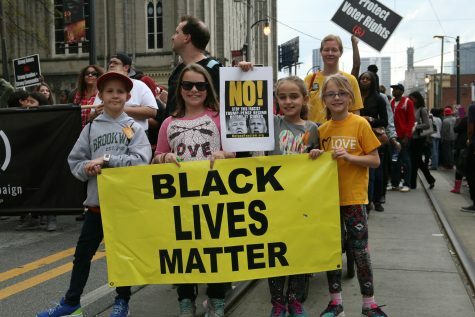 Four young girls in the march carry a sign with “Black Lives Matter” printed on it. 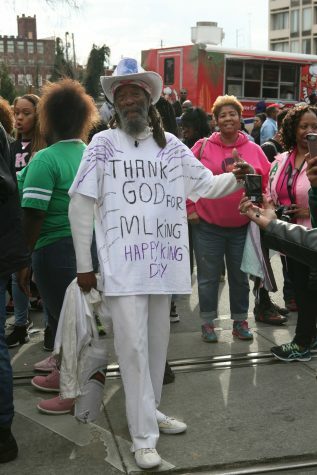 A man standing at the end of the march wears a shirt with “Thank God for MLKing” and “Happy King Day” written on it. 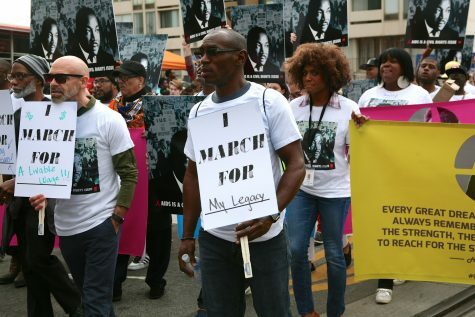 The march ended outside the Martin Luther King National Historic Site.